Sooo...the downside to taking my first teacher summer off will be not getting extras from people's gardens at work! I have a bit of a black thumb, if you're wondering why I don't grow more things myself. Still, the zucchini and tomatoes at the market are getting yummier and cheaper as the summer goes on. 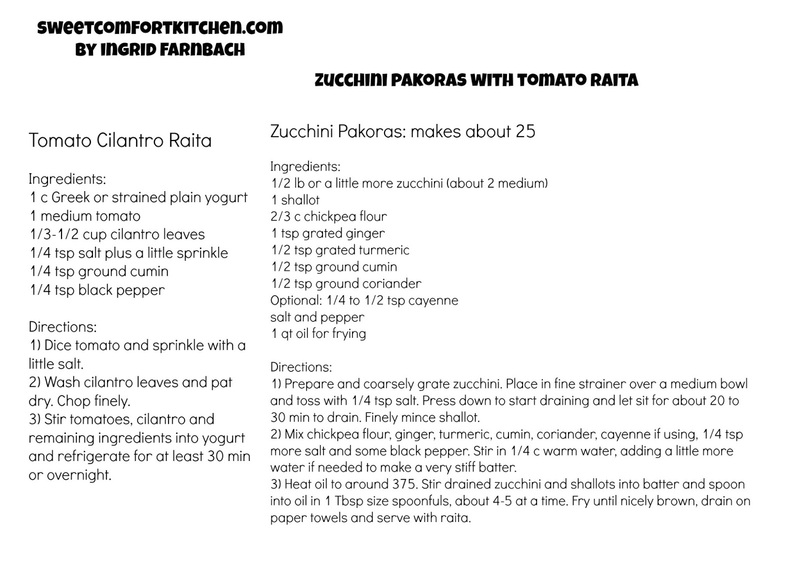 Recently I've started experimenting with Indian recipes that I used to love pre-pepper allergy diagnosis. 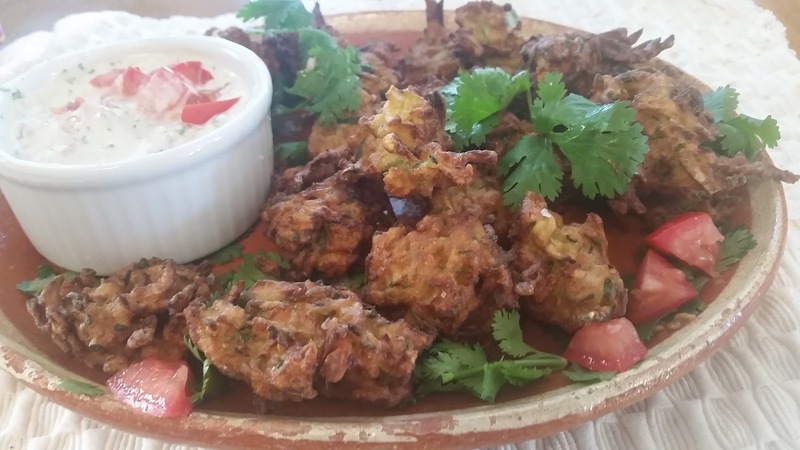 Pakoras are so delicious, and can be made vegetarian or with fish or chicken if you like. It seems so decadent to deep-fry food, and yet, if you do it right it doesn't add very much oil to the finished product. First, make the Raita for dipping. Here are most of the ingredients, minus the cumin. My raita is not 100% authentic, of course, partly because I kept forgetting to get whole cumin seeds to toast. It's still very yummy. 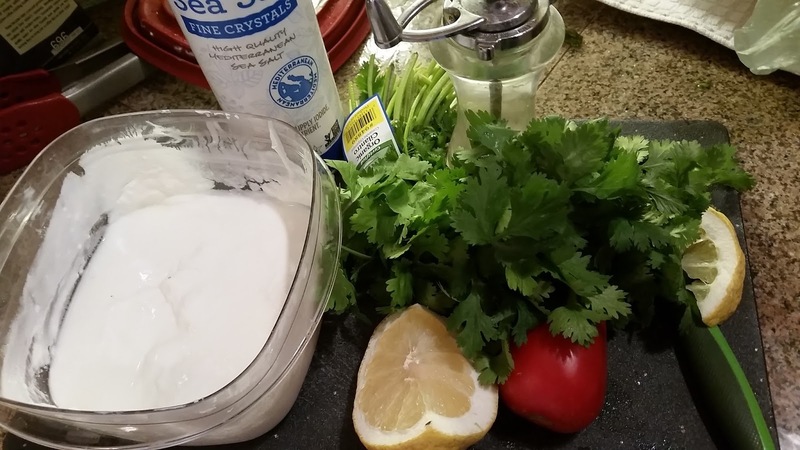 Put 1 c plain Greek or other strained yogurt, preferably whole milk, in a small to medium bowl. Dice 1 medium tomato and sprinkle it with salt. Wash and pat dry 1/3 c cilantro leaves. 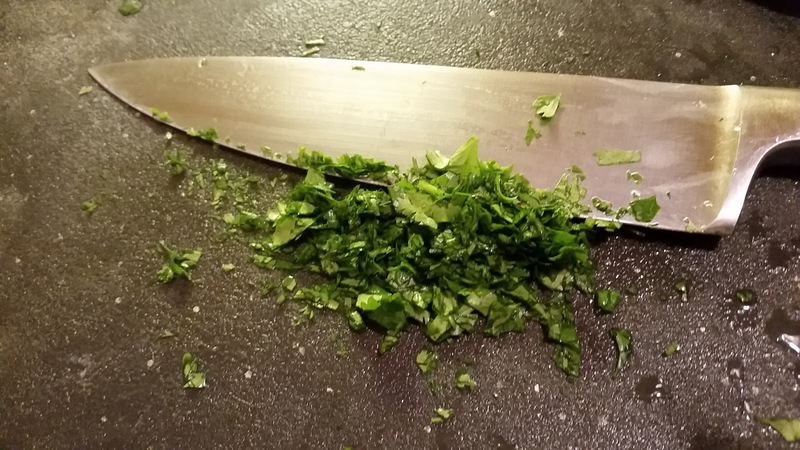 If you hate cilantro, use mint instead. Finely chop the cilantro leaves and add to the bowl with 1/4 tsp each ground cumin, black pepper and fine salt. Stir in with the tomatoes and a squeeze of lemon juice and put in the fridge until the fritters are ready. Next, prepare about 1/2 pound zucchini (2 medium). Wash them, remove the stem end and any stickers, duh, but sometimes I forget, and grate them on a coarse grater. 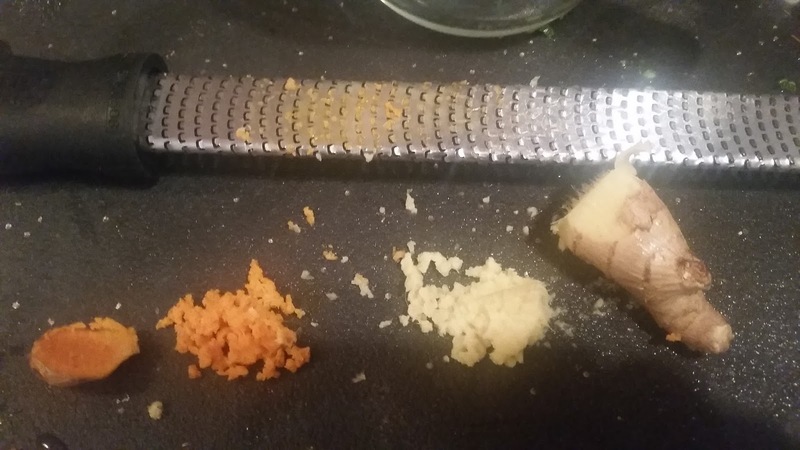 You can use a box grater or the grating disc on the food processor, whichever is less awful to clean. Peel and finely mince 1 shallot or 1/4 onion. Put the minced shallot aside. 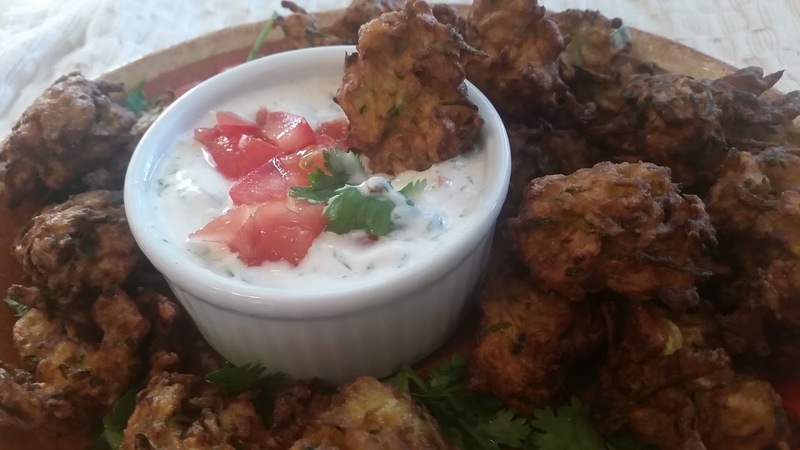 You'll need to drain the zucchini a bit so it doesn't make the pakoras too wet. 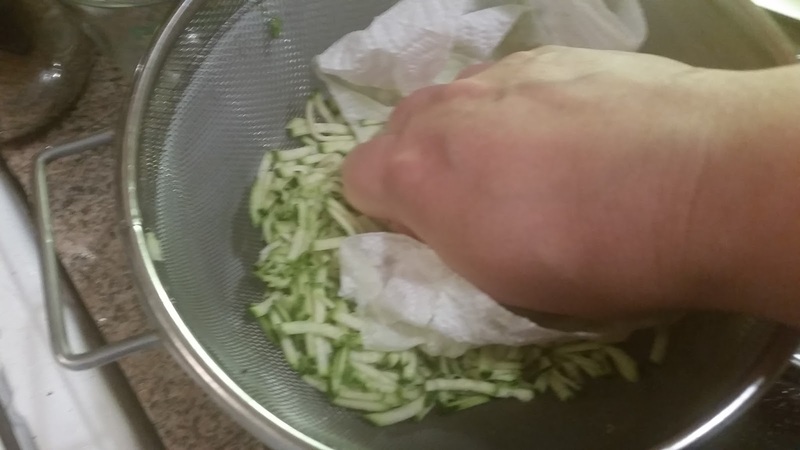 Put the grated zucchini in a fine mesh strainer over a bowl and sprinkle with a little salt (maybe 1/4 tsp). Toss a little bit to distribute the salt and press down on it with a paper towel or clean dish towel to start the release of the liquid. Let it sit and keep draining while you make the batter. 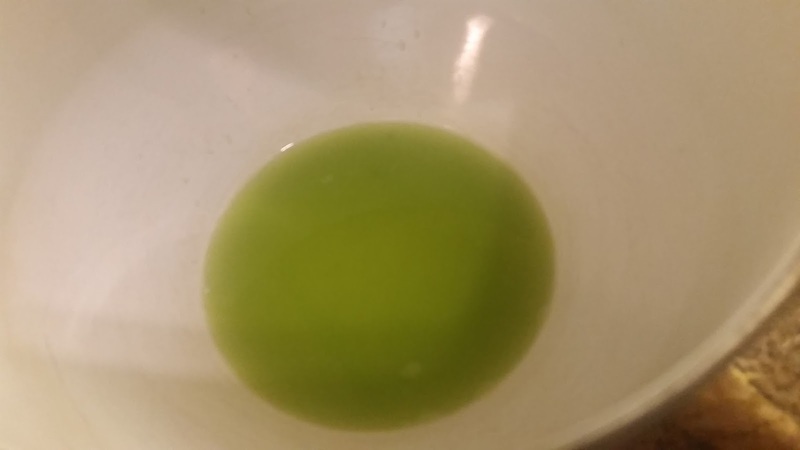 You should have a lovely little green pool of zucchini juice at the bottom of the bowl once it's done, in about 20 minutes. OK, now you have two more things to grate, this time with a microplane or the fine part of the box grater. Peel and grate a heaping 1/2 tsp fresh turmeric and 1 tsp fresh ginger. If you use dried, use 1/4 tsp turmeric and 1/2 tsp ginger. 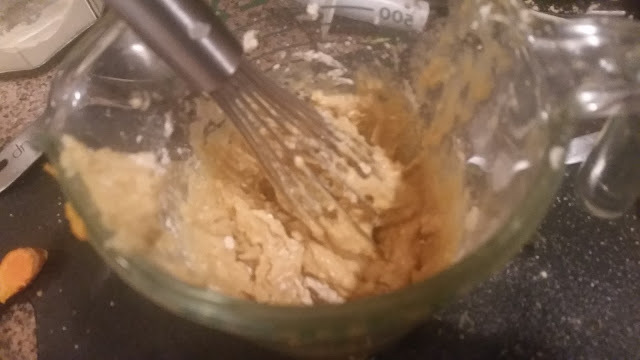 Add the turmeric and ginger to 2/3 c chickpea flour (aka garbanzo, gram or besan flour), 1/2 tsp each ground cumin and ground coriander, and 1/8 tsp ground cloves. Add 1/4 tsp to 1/2 tsp cayenne if you're so inclined, and, you know, not allergic like me. Stir in 1/4 c warm water to make a thick doughy batter, adding more water 1 tsp at a time if not all the flour has been incorporated. Let sit at room temp while you bring the oil up to frying temp. 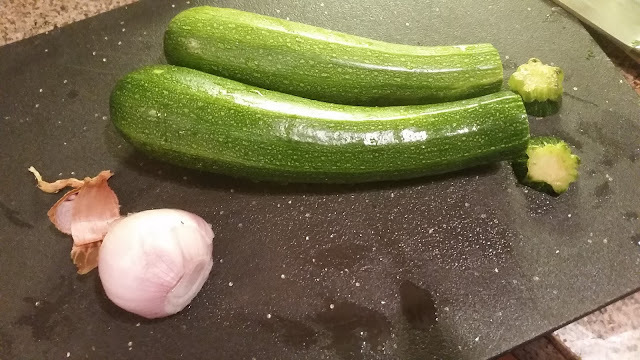 Don't add the veggies just yet. Now, put 1 qt mild oil in a heavy pot. I use sunflower or safflower, but you can also use canola if you're not vehemently opposed to it. People are touchy about their oils these days! Heat over medium-high flame for about 5 minutes before you check it. You want the oil to come up over 350 degrees so you cook at 350 when the food is added and the temp drops. It's best to use a thermometer for this, but somehow I've messed up two of them in the past year. Time to stop buying the cheapies and invest in a good one. In the meantime, I used this wooden spoon trick to check the oil temperature. 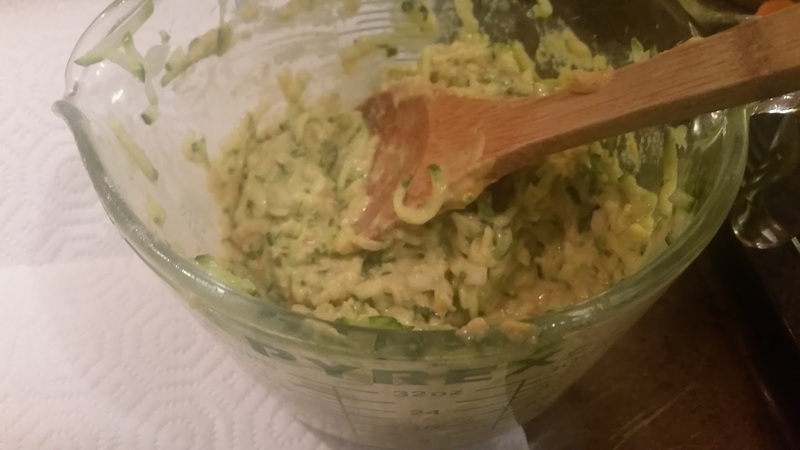 Once the oil is hot, stir the shallots and zucchini into the chickpea batter. I had to move them to a larger mixing bowl to do this properly, at least 4 cup size rather than 2 cups. Spoon the mixture into the oil in approximately 1 Tbsp size balls. Lower the spoon down to the top of the oil rather than dropping them from above to avoid splashing the oil on yourself. Move the fritters around with a slotted spoon so they cook evenly. Set up a tray or baking sheet with a brown paper bag or a few paper towels laid flat on it. 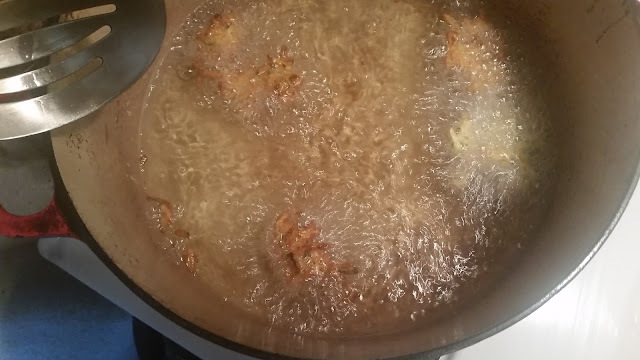 As the fritters turn nice and brown, take them out and place them on the tray so that the paper absorbs the extra oil. 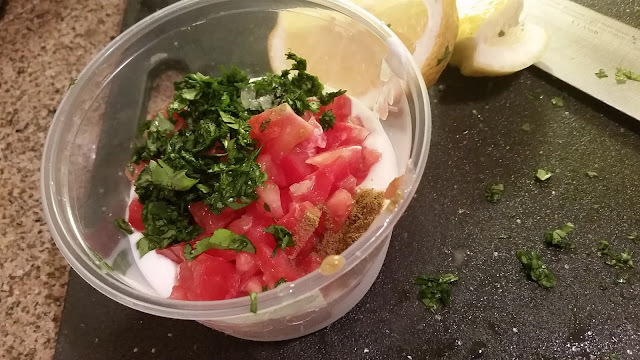 Serve immediately with the tomato raita and some more cilantro and tomato.